This level is not that hard but little complicated board but you have 50 moves and if you play with good strategy then it wont be hard for you to complete the level. To bring down all ingredients you should just focus on making special candies or if any ingredients get stuck then you free switch hand tool to move ingredient. You could combine special candies to each other to complete the level with less move and remaining will convert to fish booster or striped candy that will give extra points and you could get three star score. 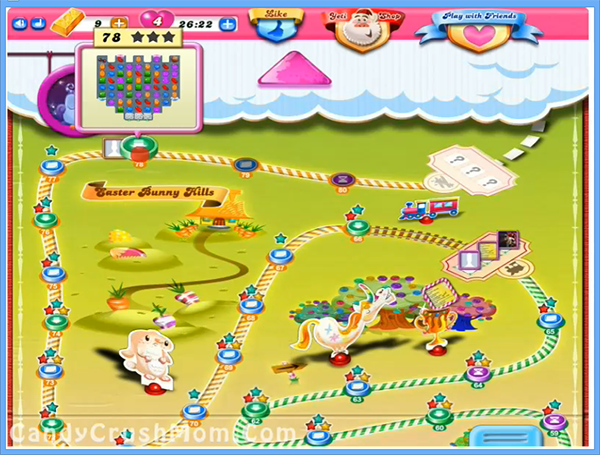 We completed this level with 153140 score by using lot of special candies and reach requirement within 28 moves and rest converted to striped candy.